Since I have other posts (mystery-related or otherwise) that are not book reviews, I thought I’d set up a page where you can search by book title and click on the post directly. I’ll be updating this page as I post each review. Happy reading! Dead Silent by Amy Beth Arkawy (posted June 24, 2013). 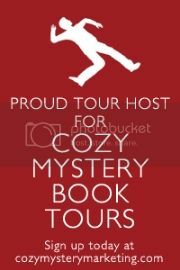 This review is part of the Cozy Mystery Book Tours. Murder at Castle Rock by Anne Marie Stoddard (posted May 27, 2013). My review was originally posted on Cozy Mystery Book Reviews.